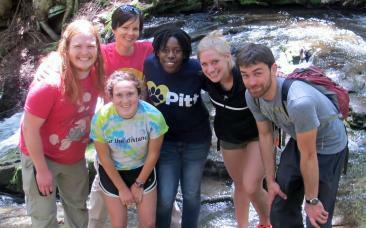 PLE offers a diverse line-up of undergraduate field courses each summer. 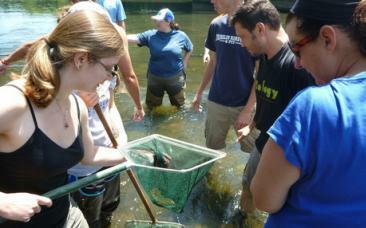 Come to the shores of Pymatuning to learn biology where it happens: In the field! PLE has a vibrant community of researchers that join us each year to take advantage of our excellent facilities as well as the diversity of natural habitats locally available. 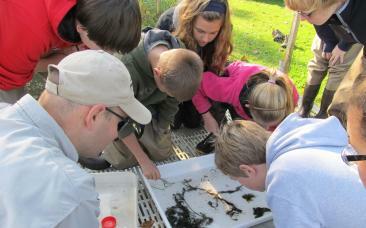 PLE’s outreach program offers area schools the chance to get hands-on ecological experiences. Take a look at how we are doing it! Welcome to the Pymatuning Laboratory of Ecology! 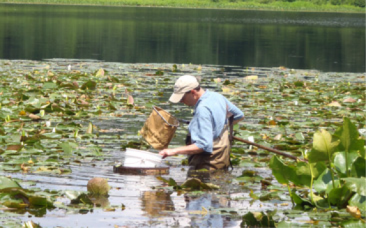 The Pymatuning Laboratory of Ecology (PLE) is a superb year-round facility that is part of Pitt's Department of Biological Sciences. 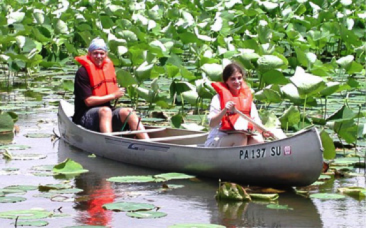 Located in Northwestern Pennsylvania on the shores of beautiful Pymatuning Lake, PLE is dedicated to serving the academic community and visitors from around the world. For those interested in PLE summer courses, we have a diverse line-up of field classes planned for this summer. Previous students tell us that PLE summer courses rate among their favorite courses taken in their four years of their undergraduate education! The reason is that we combine outstanding instructors with a beautiful natural setting on Pymatuning Lake. If you are interested in conducting research at PLE, we have a number of spacious modern laboratories as well as considerable land holdings, all within a matrix of extensive public lands. You'll enjoy a peaceful accommodation as well as the social interactions with a diversity of fellow faculty, post-doctoral researchers and graduate students from around the United States. 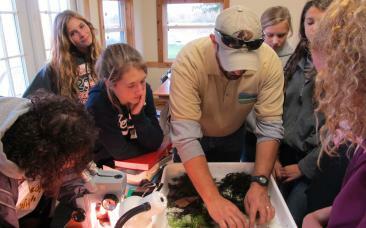 Our outreach program brings local middle schools and high schools in the region hands-on ecological experiences. 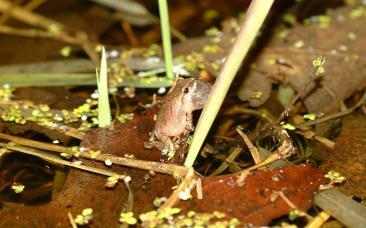 Our programs include open water sampling on Pymatuning as well as getting students and adults alike active in the citizen-science program Frogwatch USA. As a conference center, PLE is the perfect relaxing destination for a conference or retreat. We have a beautiful facility that can sleep 109 people at a time and feed up to 150 people. Our facilities include cabins, dormitories, a dining hall, lecture rooms, and lots of great recreational activities. We strive to fulfill these four missions while providing outstanding customer service. We hope you find the information on this website informative and interesting. Feel free to contact us if you have any questions. We look forward to seeing you soon!